Continue reading to learn more about the health and safety issues the College faced, the solutions our air purification units have provided and how these have benefited the Beauty departments nail training courses. City of Bath College incorporate the teaching and application of all nail beauty services into one large training room. In order to comply with CoSHH regulations, specifically the HSE SR13 ruling on Nail Bars, the beauty training room must be equipped with extraction systems that effectively remove fume, odour and dust particulates associated with the use of nail acrylics, from the air. With a full understanding of the Colleges’ requirements, we recommended BenchVent BV3000 nail desks. These extraction units have been specifically designed by our team to remove harmful fumes and airborne dust generated in the nail services industry. Manufactured from our base in Killinghall, Harrogate, the air filtration desks utilise a downdraught extraction technique to pull nail related dust and acrylic odours down and away from the breathing zone of the nail technician, creating an environment suitable for long periods of nail tuition. Built in drawers provide an effective storage solution for nail polishes, acrylic paints and liquids, maintaining a cool, dry and dark location that was also required to comply with CoSHH regulations. After a successful installation, the Beauty department in City of Bath College is now fully up and running with the nail desk ventilation equipment. 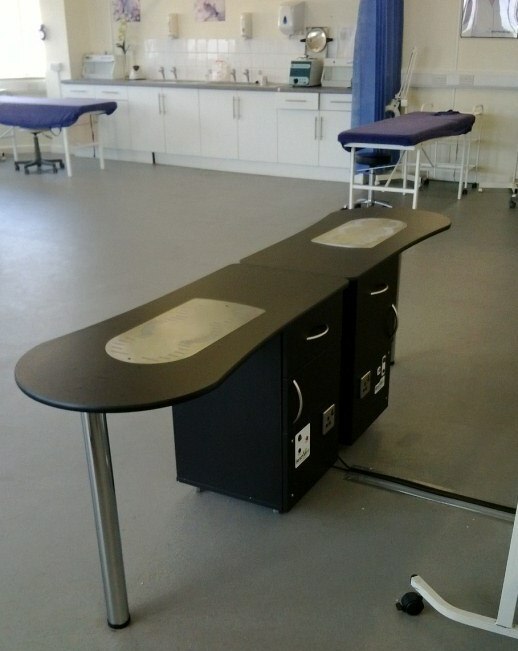 The training room incorporates 4 units, in a mixture of both right and left hand desks with a black finish to compliment the décor of the room. As the nail benches utilise a downdraught extraction technique this removes the need for a mounted ventilation arm. The non-obtrusive design of the BV3000 has allowed students to benefit from a spacious and safe working environment, aiding the development of their manicure skills and painting techniques. City of Bath College opted for our BV3000 nail desk extractors. At £750 (+VAT) the units are fitted with activated carbon filters to remove 99% of the odour associated with acrylic nails and fine dust particles that result from manicures. With the option to add a side arm lamp and the wide choice of colours and finishes, the unit provides a complete solution for colleges, beauty salons and domestic applications alike. Does your school or college offer nail service training courses? 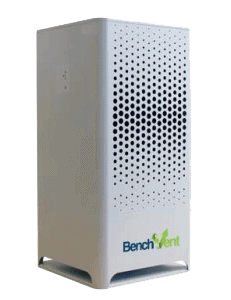 Get in touch with us today for completely free advice on how our cost effective air extraction solutions can benefit your teaching environment. For more information on our air filtration solutions for the beauty industry, please contact us today for no-obligation advice and support.